Wireless scanners have become commonplace in many retail environments for the convenience they provide by removing a cable from the picture. All cordless scanners have a battery in them that is often the main point of wear on the device and requires several hours to fully charge on many models. It may seem that the battery is an unavoidable consequence of being wireless but Honeywell is leading the way towards a more environmentally friendly scanner that also requires less maintenance long term. Shedding the traditional battery pack, Honeywell has introduced their Super-Capacitor technology on their Xenon 1902g-bf and Voyager 1202g-bf scanners. Super-Capacitors are capable of achieving a full charge in less than two minutes via the standard USB port or under 30 seconds when using a powered USB port or external wall adapter. After a quick charge the Voyager 1200g-bf can scan at least 100 codes while the Xenon 1902g-bf can read at least 450 codes. This sort of quick and easy charging feature makes these scanners ideal for applications centered around POS, workstations and counters – for example, as the secondary scanner to a bioptic (in-counter) scanner, or in support of shipping and receiving functions at warehouses. With no battery, a common maintenance hassle is removed and the scanner is lighter and more environmentally friendly. Both scanners are built on the proven Voyager and Xenon platform offering superior scanning performance on linear and 2D barcodes respectively. With multiple-interface options, these scanners are plug-in-player ready to start inputting scanned data into any application. 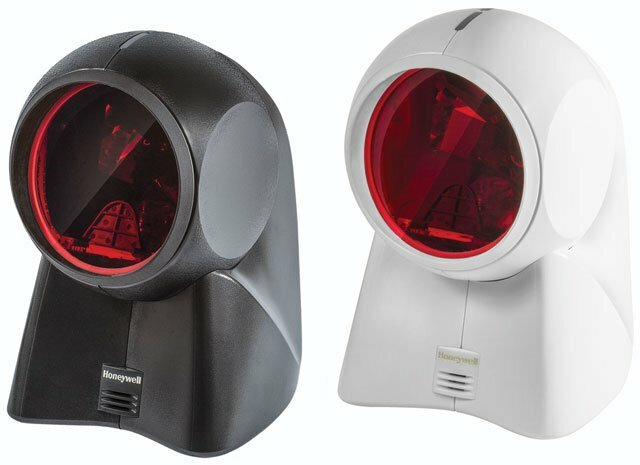 For assistance finding the right battery-free scanner for your needs, contact us at Barcodes Inc.
Just like it’s extremely popular and best selling Orbit 7120 older brother, the new Orbit 7190g scanner is an innovative, elegant and affordable solution for convenience retail applications where counter space is at a premium. The Orbit 7190g scanner continues the proven, superior 1D laser scanning performance of Orbit series scanners – but adds an area imager for seamless scanning of digital 1D, 2D and PDF codes in a single, convenient device. 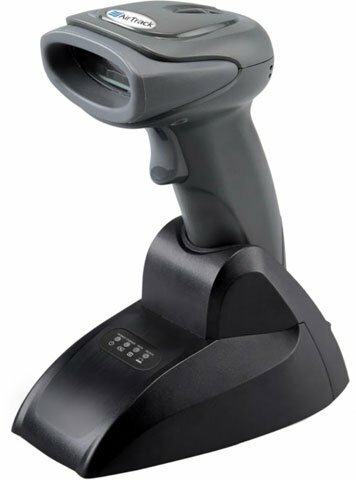 To make retail checkouts faster and more hassle-free, the Orbit 7190g scanner features a unique dual-modes design that is optimized for both the cashier and the customer – enabling seamless product barcode scanning and scanning of digital codes off customer smartphones. 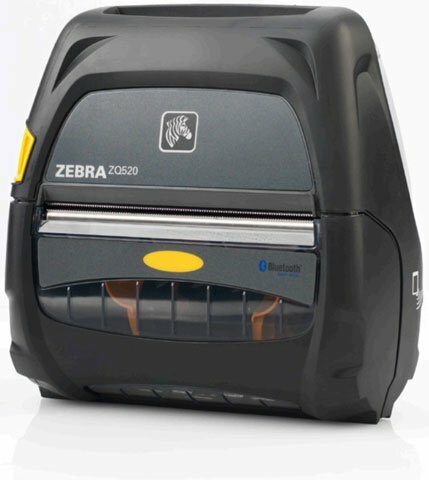 Breakthrough Hybrid Technology – The Orbit 7190g scanner integrates both a laser and an imager into a single presentation scanner – no need to buy a separate scanner for printed 1D and digital 1D, 2D and PDF barcodes reading. Dual-Working Modes – With dual-working modes, the scanner is optimized for both scanning digital codes off customer smartphones and scanning merchandise codes by the cashier at the register. Superior Scanning Performance – A 20-line omnidirectional laser pattern maintains the proven 1D scanning performance of existing Orbit scanners. With leading Honeywell imaging technology, the scanner reads smartphone coupons and ID cards with ease. 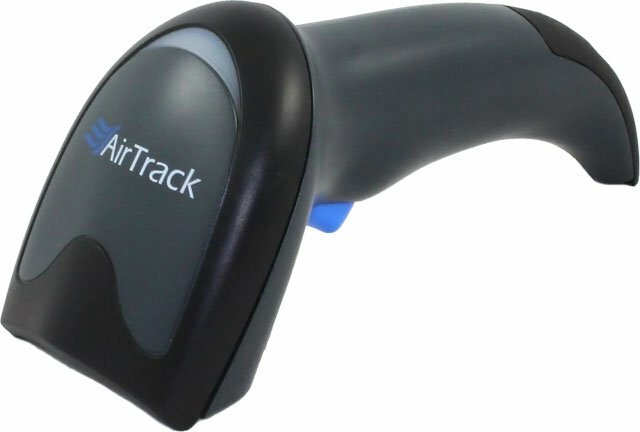 Adjustable Scan Head – The award-winning shape enables handheld scanning of large, bulky items. The adjustable scan head even allows cashiers to tilt the scanner 30° for targeted scanning of larger products. Multi-Interface Design – Automatic interface detection enables the scanner to configure itself to the appropriate interface upon connection – eliminating the tedious task of scanning programming barcodes. ID TECH and Worldnet combine to provide EMV chip-card acceptance to cloud-based merchants, unattended kiosk manufacturers, retailers, and mobile merchants have received EMV certification through First Data. The certification using the GoChip EMV SDK encompasses all the ID TECH’s products that incorporate the ID TECH Common Kernel. 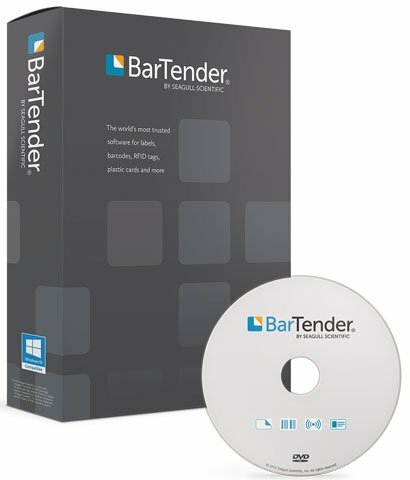 GoChip supports traditional POS as well as iOS and Android operating systems for mobile and tablet POS merchants and is available for Windows Desktop, Apple OS, iOS, Android, Windows Mobile 8.1 and Java. Zebra’s newest evolution in enterprise mobile computing: the TC51 and TC56 touch mobile computers. Developed for retail and field mobility applications, the TC51 and TC56 have been designed to satisfy the durability, power and security needs of business users while offering an intuitive consumer design to meet the expectations of end users. 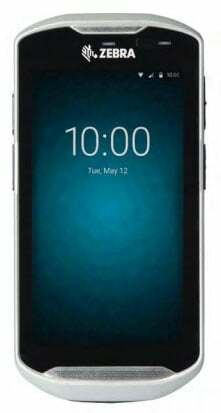 The TC5 Series is as modern and easy to use as consumer smartphones so there is no need to compromise device design for enterprise functionality. Built to last for years and designed to withstand accidental drops into water or onto concrete and used in dusty areas, the provide true enterprise-class durability. The TC5 series also provides the operational ease of support for a better total cost of ownership (TCO) as well as the fastest, most dependable wireless connections inside and outside with 802.11 a/b/g/n/ac/d/h/i/r Wi-Fi connectivity for superior roaming capability, and 4G LTE WWAN. The TC51 and TC56 feature innovative productivity design features to help improve user satisfaction including an easily removable and replaceable battery pack, a large 5-inch display and customizable Active Edge Touch Zones for one-touch access to the most frequently used device features and apps. There’s a lot of buzz going around about the new Digimarc barcode that will change retail barcoding as we know it. So what exactly is so different about the Digimarc code? The Digimarc code is based on imperceptible patterns that can be applied to marketing materials, including packaging, displays, ads in magazines, circulars, radio and television. This essentially makes the code invisible to everyone except digimarc enabled scanners and mobile devices. The code still contains the same type of data like a traditional UPC/EAN barcode but since it is imperceptibly repeated multiple times over an entire product package it’s faster, more reliable, more versatile, and more secure than traditional UPC/EAN symbols and occupies zero space on the package. With the Digimarc barcode, checkout clerks, as well as shoppers using self-checkout, can easily and quickly scan items without having to hunt for the barcode. Plus, packaging carrying Digimarc Barcodes can connect mobile-enabled shoppers with additional product information, special offers, recommendations, reviews, social networks, and more with a simple scan. The benefits also extend to shoppers using self-checkout, providing a faster, more enjoyable, and efficient experience. The face of barcoding is constantly evolving and Barcodes Inc will always be your reliable partner. For more information about Digimarc codes and how to implement them in your business, contact one of Auto-ID specialists.